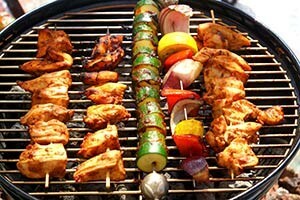 BBQs for Weddings, Parties, Corporate Events, Festivals or Street Food. What’s better than a good BBQ? BBQs are the perfect fit for any event – We cook and serve a gourmet barbecue meal for you and your guests, leaving you free to enjoy the occasion. 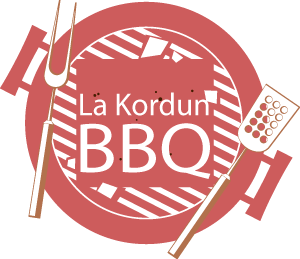 La Kordun – Wedding & Event Catering offers mobile BBQ catering across South East covering Wokingham, Reading, Didcot, Bracknell, Ascot, Newbury, Sunnighill, Berkshire, Oxfordshire, Surrey, Wiltshire, Virginia Water and almost any other location in the area. As well as BBQ meat, our menus include fresh salads, bread, desserts – crepes cooked in our van, finger food and much more. You can choose from a range of set BBQ menus or design a menu to suit your needs. If there are any dishes you would like to add or change in our menus, we would be more than happy to change that for you. Vegetarian & Vegan burgers & sausages available.